It’s easy to say “carpenter”. In ermesponti we grow this ancient craft with care and respect. 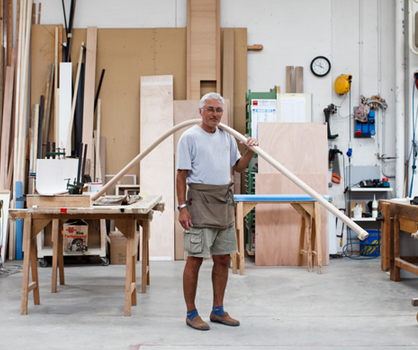 Many of our “falegnami” (the Italian wording our international customers don’t know) are actually master carpenters, who learned to work with wood, over the years, project after project, within our company. 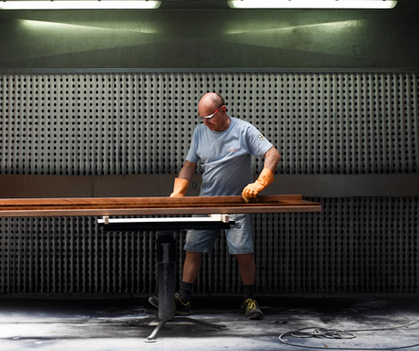 In ermesponti, from the owner – who, despite fifty years of entrepreneurial history has always wanted the word “carpenter” on his ID – to be a carpenter means to be at the heart of the company, where “thought” becomes “act” through the work of hands, and then returns then to thinking phase in a constant and smooth process, with no separation between “those who think” and “those who make”. In ermesponti “thinking” and “making” are two perspectives of the same glance, two phases of the same project, two moments of the same day. There is no separation between the work of the mind and the work of the hand, regardless of the business roles. This constant “dialogue” between thought and action is a continuum that leads, in our opinion, to excellence in the production of a piece of interiors, whether residential, retail or yacht. On a practical plan, here’s how the work is organized. Every carpenter is responsible for its own work and its own micro-project (the part of the job covered in the specific work phase). 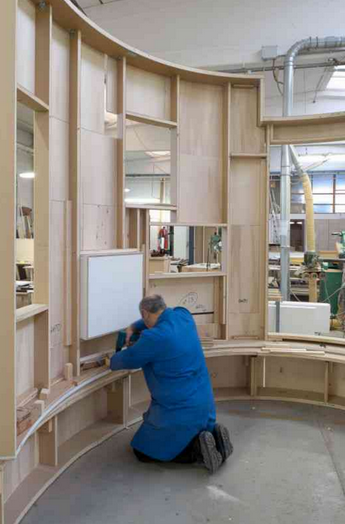 After talking with the architect on drawings, an ermesponti carpenter draws by himself the computer tabs needed for production, then cuts the panels with the CNC machine, so to achieve pinpoint accuracy even in the most challenging process; finally he completes the most important parts manually and assembles the furniture in the lab before the painting step, to verify its perfection. This approach, simple yet not trivial, allows us to increase widespread creativity, while the natural problem solving of the artisan works together with the architect. That is how we create value for our customers. We definitely agree, Mr. Shu! Previous PostA trip to San Vitale’s Basilica in Ravenna, with Paul Valéry and Leon Battista AlbertiNext Postermesponti interior design: the story in pictures of a small but significant piece of contemporary architecture in a Milan historic building.